1. 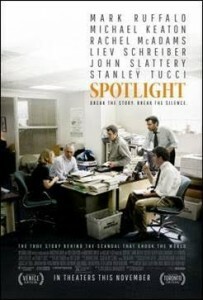 Spotlight– Drama, based on true events. Director & screenplay credit, Tom McCarthy, Screenplay, Josh Singer. An all-star cast, Mark Ruffalo, Michael Keaton, Rachel McAdams, Stanley Tucci and Liev Schreiber. The setting is the year 2001 when a shocking newspaper story by the Boston Globe “Spotlight” team caused a crisis in Catholic Church. “They knew, and they let it happen! It could’ve been you, it could’ve been me, it could’ve been any of us,” said news reporter Mike Rezendes (Ruffalo). 2. 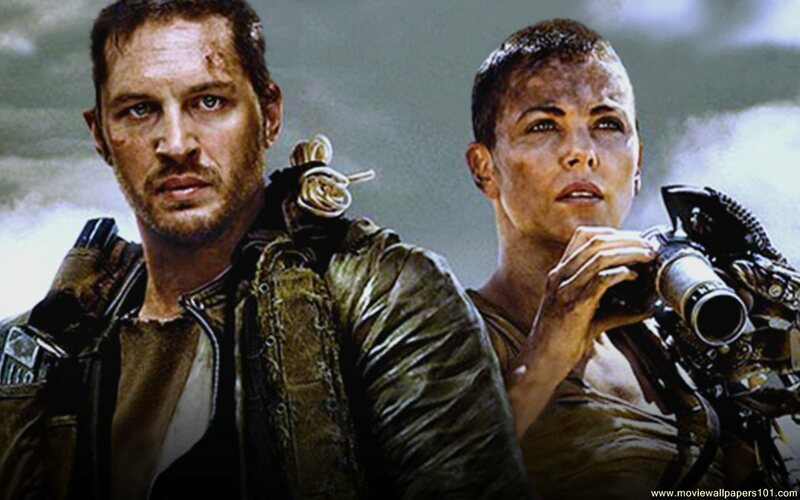 Mad Max: Fury Road– Science Fiction, Action. The fourth film in the series by Director George Miller and screenplay credit. Stars Charlize Theron and Tom Hardy. The setting is 45 years after the last film (Mad Max Beyond Thunderdome 1985) in a Post-Apocalyptic Australian desert wasteland. 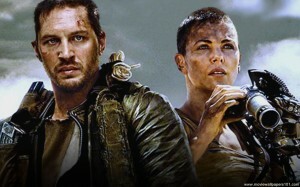 Mad Max (Hardy) believes the only way to survive is to wander alone until he teams up with Furiosa (Theron). “As the world fell, each of us in our own way was broken. It was hard to know who was more crazy…me or everyone else.” said Max, the hero of the film. 3. The Martian– Science Fiction, based on a book of the same name by Andy Weir. Ridley Scott directs a screenplay by Drew Goddard. 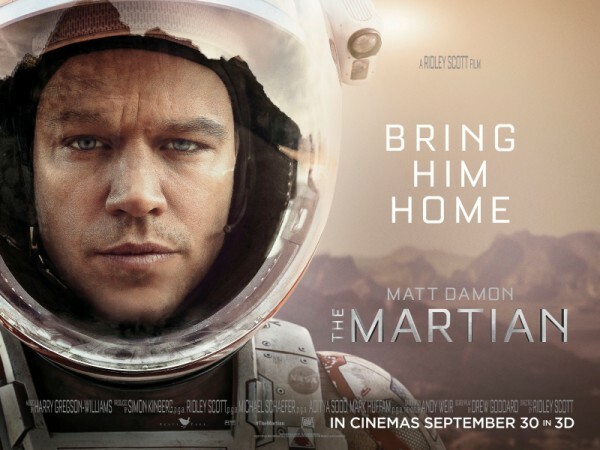 Matt Damon stars as Astronaut Mark Watney, who is presumed dead after a violent storm and left behind by his crew while on Mars. With only meager supplies, Watney must draw upon his ingenuity, wit and spirit to survive. Millions of miles away, NASA and a team of international scientists work tirelessly to bring “the martian” home. It features a star-studded cast that includes Jessica Chastain, Kristen Wiig, Kate Mara, Michael Peña, Jeff Daniels, Chiwetel Ejiofor, and Donald Glover. 4. Inside Out– Is an animated film by director Pete Docter. Riley, an 11 year old girl is uprooted from her Minnesota home when her father starts a new job in San Francisco. 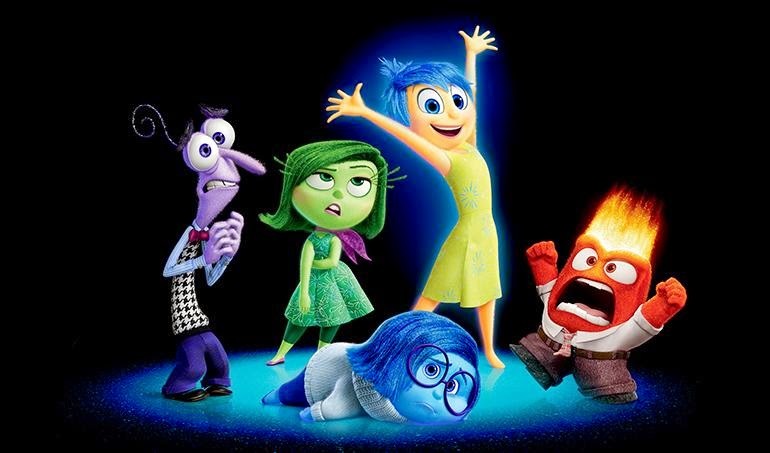 Her emotions; Joy (Amy Poehler), Fear (Bill Hader), Anger (Lewis Black), Disgust (Mindy Kaling) and Sadness (Phyllis Smith) live in Headquarters, the control center inside Riley’s mind. Her emotions struggle to adjust to her new life in San Francisco, causing turmoil in Headquarters. 5. 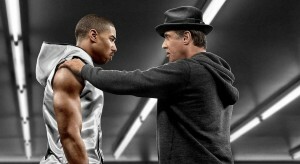 Creed–Drama, based on the previous six Rocky films. Ryan Coogler has director and screenplay credit. Michael B. Jordan stars as Adonis (Donnie), Apollo Creed’s son. In what can be called “Rocky 7,” Sylvester Stallone (Rocky Balboa) trains Donnie to box for the Heavy Weight Championship of the World. Tessa Thompson costars as Donnie’s girlfriend and Phylicia Rashad as Donnie’s mom. 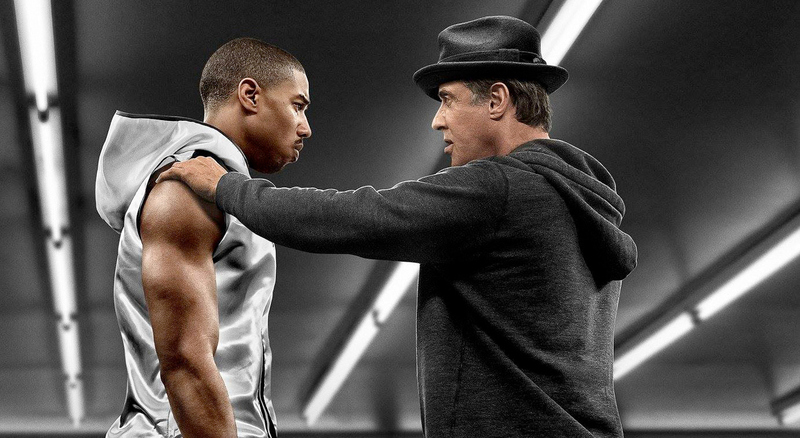 Michael B. Jordan and Sylvester Stallone star in ‘Creed’ Photo Credit: Warner Bros.
6. The Big Short– Written and directed by Adam McKay based the film on Michael Lewis’ best-seller of the same name. The film stars Christian Bale who plays the real-life person Michael Burry. Steve Carell also stars. Ryan Gosling and Brad Pitt costar. With Melissa Leo, & Marisa Tomei. 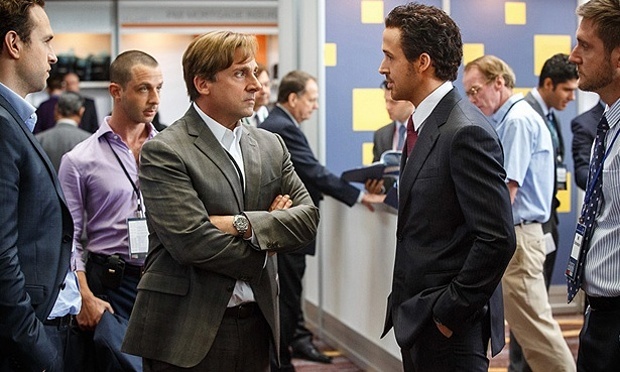 The Big Short tells the story of the housing market crash of 2008. Following three different groups and one individual who saw a way to ‘short the market’ which is basically the betting against mortgage loans. 7. 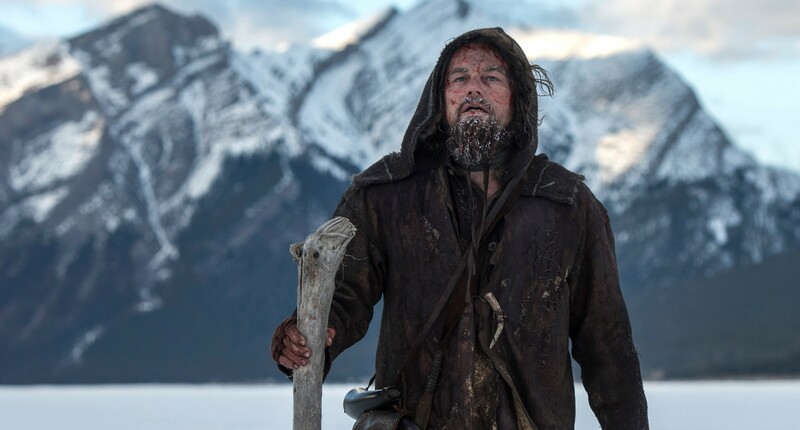 The Revenant– Drama, the setting is the American frontier in South Dakota in 1823 and tells the epic tale of an incredible legendary fur trapper, Hugh Glass, played by Leonardo DiCaprio. The director is Alejandro Iñárritu, who won the Oscar for Best Director last year for Birdman. Glass faced all kinds of dangers in the harsh world of trapping, and we see most of them in this film. For starters, he’s attacked by an enormous grizzly bear, and left for dead by a fellow trapper played by Tom Hardy. He didn’t die. Consequently, the majority of the film is viewing DiCaprio’s determination and courage to survive so he can avenge not only being left for dead but the death of his son. “I ain’t afraid to die anymore. I’d done it already,” said Hugh Glass. 8. Joy– Comedy/Drama based on the true story of Joy Mangano, who invented the “Miracle Mop, ” Jennifer Lawrence stars as Joy and Robert De Niro as her father. 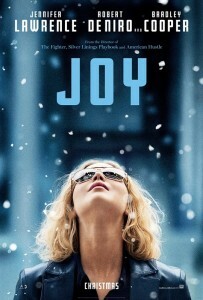 The story is told through Joy’s grandmother (Diane Ladd). She tells Joy she’s going to grow up to do great things. 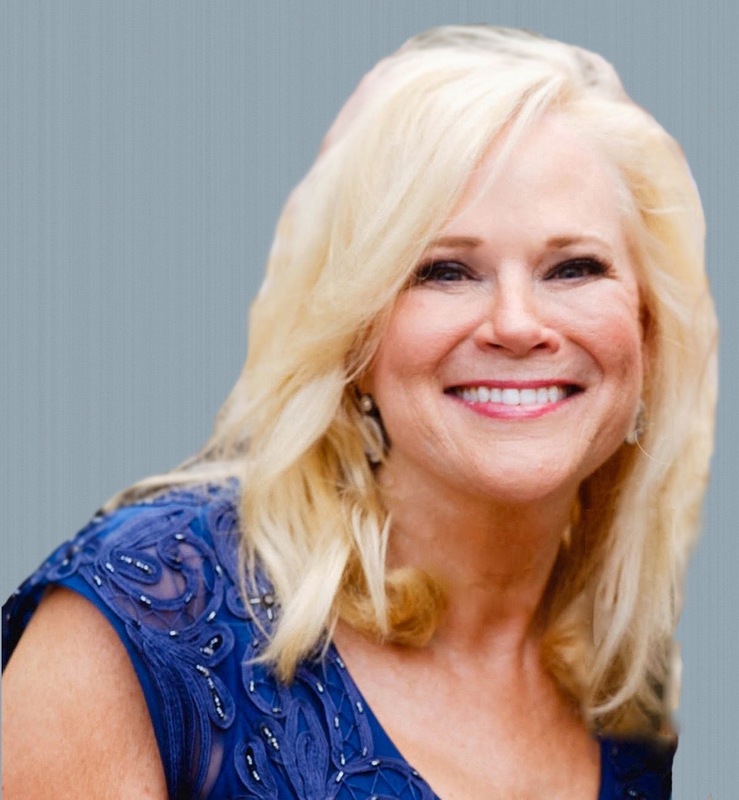 The film follows Joy, a single mother of three children, through four decades as she builds her business empire in the 90s after creating the Miracle Mop and demonstrating it on the Home Shopping Channel. Virginia Madsen plays Joy’s mother. Edgar Ramirez plays both Joy’s husband and ex-husband. Isabella Rossellini is Robert De Niro’s girlfriend. Bradley Cooper plays an executive with the Home Shopping Network. 9. Bridge of Spies– A Drama, based on true, historical facts. The director is Steven Spielberg. The setting is the cold war of 1957 through the 60s. 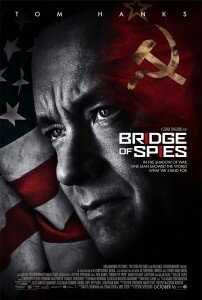 Tom Hanks stars as James B. Donovan, an American insurance lawyer who becomes an unlikely hero. He’s asked by his supervisor to defend Rudolf Abel (Mark Rylance) who is accused of being a Soviet spy. When he’s found guilty, Hanks advises the judge to keep him in jail rather that give him the death penalty, because he sees him a chance for a prisoner exchange in the future in case the soviet’s catch a U.S. spy, which does happen three years later. 10. 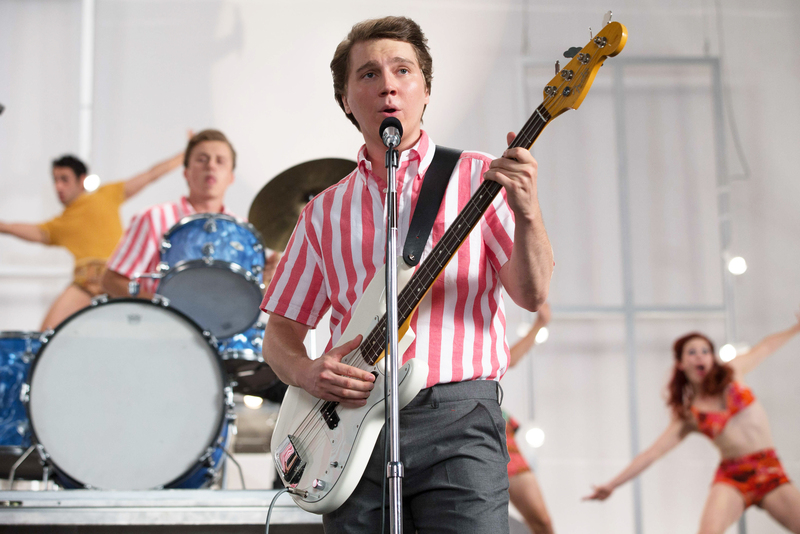 Love and Mercy–Drama based on true facts of the musical group The Beach Boys. The director is Bill Pohlad. The film centers on Brian Wilson the singer, the songwriter and the “tour de force” leader of the group. It’s divided into two-time frames; the 60’s Wilson is played by Paul Dano when the band rose to fame, and the 80’s Wilson is played by John Cusack; who was truly suffering. Wilson suffers not only from mental illness but from the 24-hour care of therapist Dr. Eugene Landy played by Paul Giamatti, who’s an abusive father figure. Wilson’s life changes when he meets his second wife Melinda Ledbetter played by Elizabeth Banks; serendipitously while he was buying a new Cadillac. * All of the following movies I highly recommend.